A company's name is an important asset. When starting a new business or changing a company's name the name has to be chosen carefully to avoid infringing the rights of established businesses, and to ensure that it complies with the requirements of the Companies Acts. It may also be important to have it registered as a trade mark. Having the name registered as a trade mark will give it much greater protection. Great care must be taken when setting up a company to ensure that it has a name which meets all the statutory requirements, does not infringe the rights of others (who may bring legal proceedings involving both cost and disruption to the new business) and which is adequately protected against others who may seek to use the name in the future. Incorporation Services Limited can advise on this area. Care must also be taken to see that the name is not too like one already registered because of the risk of being sued for passing off. A new Company Names Adjudicator (or Tribunal) deal with opportunistic registrations using the names of famous companies. The Companies House website has further information. 1. Ending in 'Limited', etc. A private company's name must end with 'Limited' (or 'Ltd') and that of a public company must end in 'public limited company' or 'PLC'. This is intended as a warning to those dealing with the company that the members' liability is limited. The names of Community Interest Companies must end in 'Community Interest Company' or 'CIC', and there are Welsh language equivalent phrases for all these terms. There is an exemption for some non-trading companies limited by guarantee, such as charities. 1. "Limited", "Ltd", "Unlimited", "plc", "LLP" and various similar terms must be ignored. "and" and "&" (so Smith and Jones" is the same as "Smith & Jones", etc. EU, GB, Great Britain, NI, Northern Ireland, org, org uk, org.uk, UK, United Kingdom, Wales (and Welsh equivalents of these words). The ‘same as’ rule does not apply if the proposed company is intended to be part of the same group as an existing ‘same as’ company; and the existing company consents to the registration of the proposed name. This makes it easier for companies in the same group to grant permission to register a proposed name. the use of capital or lower case letters and punctuation (and note that 'and' is the same as '&' for these purposes. If a name is only very slightly different from one already registered, it will be accepted for registration but there could still be potentially serious problems if the name is too like one already in use (see below). Permission is quite easily obtained for some of these words, but can be very difficult for others. Obtaining permission will usually cause some delay to the registration of the company and an additional cost. The name must not suggest connection with the government or a local authority. For example 'Home Office Supplies Limited' or 'Lambeth Housing Services Limited' could be objected to on these grounds. The name must not be offensive. This is not often a problem, but Companies House sometimes regard some surprisingly commonplace words to be offensive (e.g.. 'Firkin' and 'Knickers'). Such objections can sometimes be overcome by presenting arguments to the Registrar. Even if a company name is accepted by Companies House, that is not the end of the matter. The name, though registered, may be the too like one already registered, or could be the cause of a legal action for passing off or infringe a trade mark. If a company is registered with a name which is similar to that of an existing registered company, the original company may be able to persuade Companies House to exercise its powers under sec7 of the Act to order the new company to change its name. Such an order can be made if the new company has been registered in a name which is 'too like' one which was already on the register. (Notice that Companies House will allow a name to be registered that is very similar to that of an existing company (provided it is not the same), and then, within 12 months after registration, order the new company to change its name because it is too like the one already there.). 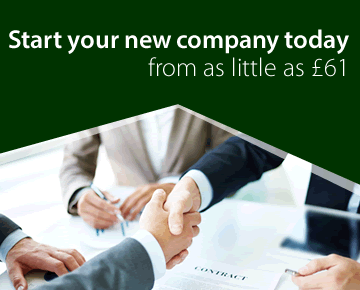 Go onto the Incorporation Services Limited website to check the availability of a company name. Company names adjudicators make decisions in disputes about opportunistic company name or LLP name registrations. The Tribunal deals solely with applications (complaints) made under sec69 of the Act. Opportunistic company name registrations share similar characteristics to opportunistic Internet domain name registrations (called cyber squatting). An example is when someone registers one or more variations of the name of a well-known company in order to get the latter to buy the registration(s). Another example might be where someone knows that a merger is about to take place between two companies and so registers one or more variations of the name that the newly merged company is likely to require. See the Company Names Tribunal. The main restriction on the use of a name (for any business whether sole trader, partnership or company) is that the name used for the business, or a very similar name, may already be in use by an existing business. The other business may be able to sue for the tort of passing off. It is important to note that a company being registered at Companies House is is no defence to a passing off action. This is why we it is essential to check a proposed company name carefully, looking for similar names as well as those that are identical. If in any doubt about any of these issues, contact Incorporation Services Limited.